Drake’s Dealership is the place to be anytime, of course, but Thursday through Saturday this brewery-owned restaurant hosts a variety of local DJs. Check the monthly schedule here. 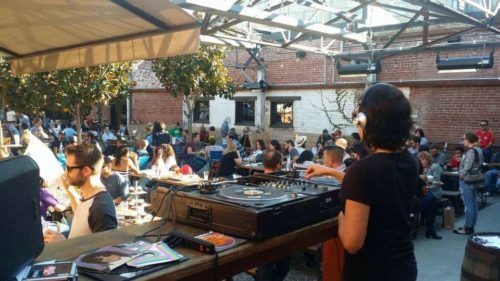 Every 3rd Saturday afternoon you’ll find me playing records in the beer garden from 1 to 4 pm. It’s American Craft Beer Week! Support your local craft breweries.